We offer valet parking, self parking garage, as well as handicap accommodations. 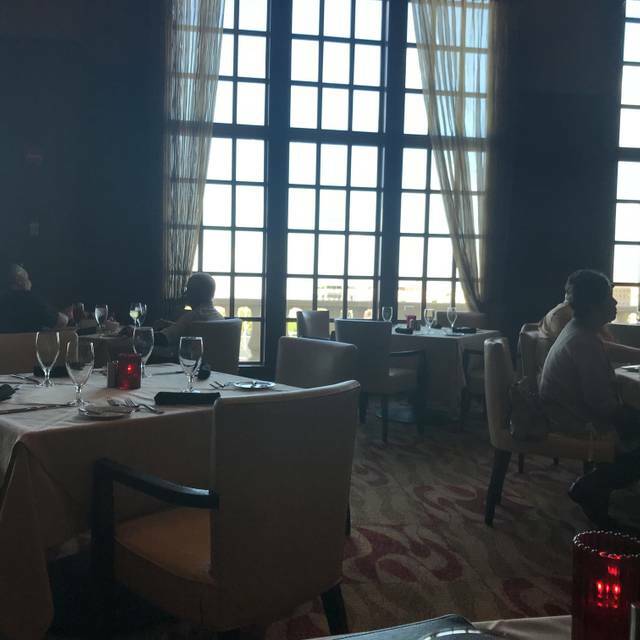 Located a short elevator ride away on the Second Floor of the Suncoast Casino, this exclusive room's classic steakhouse ambiance and spectacular view of the Las Vegas Valley enhance an already pleasurable experience. In addition to USDA Prime Aged Beef "SC Prime" offers seafood, lamb, pork and poultry, all prepared to perfection and whether you're a wine connoisseur or not, you will enjoy the extensive wine list. SC Prime also hosts the best "Happy Hour" in Las Vegas, from 4:00pm to 7:00pm in the lounge, featuring fantastic drinks and food specials. Our Private Dining Room is available for parties of 6 to 14, when the celebration requires a little more intimacy. We don't have many requirements of you at SC Prime, just that you like to enjoy the finer things in life, any occasion is the right occasion. Our meal on Easter couldn't have been nicer. Anna, our server, made everything flow seamlessly and always with a smile. Food was wonderful, as always. Almond crusted salmon was great. Veggies were over-cooked. Chocolate sauce on marble cheesecake had been put on way before it was served and had been put back in refrigerator, resulting in a hardened, rubbery, gelatinous consistency. Gross. Service was abysmal. We had a nice table in front of window with a fabulous view. Food was good and all carte. A bit pricy. Romantic with great service. We asked for and received a table at the window. Great view of Vegas at night! This is the perfect place to enjoy a relaxing and delicious dinner with friends and family also while enjoying great cocktails. Service and ambience were terrific. Unfortunately, two of the three meals were not good. Steak came out medium well when it was ordered medium rare. Rookie mistake!! Also, the pretzel encrusted chicken was not acceptable. The breading was more like soft dough than pretzel bread. As usual, service was very good and the food was done properly.. The lobster bisque was brown cold and the lobster pieces were overcooked. The cream sauce sauce had broken. The Caesar salad lettuce had more than a few pieces that were brown. The Calamari sat in a pool of grease. We asked for the manager and he never came over. Finally the waiter deducted the items off that were bad. We spent two hrs there and had bread and tea. They had the nerve to waste two hrs of our time and charge us for ice tea. Not very impressed. We have dined at SC Prime off and on since 2005. This restaurant has deteriorated over time and this dining experience was the worst. The quality of the prime rib was very poor. The meat was basically tasteless and extremely tough. In addition, the bus person was rude and the waiter failed to offer coffee or dessert. The appetizer was delivered 45 minutes after ordering. My wife and I will not return to this restaurant and we will advise our great number of friends in and around the Las Vegas area not to as well. Excellent food and outstanding service. We look forward to our next visit to Las Vegas. SC Prime and our always-requested server, Lawrence, never fail to offer us an exceptional dining experience. We extend our appreciation. We are frequent dinners there , and it gets noisier each time. We have had to ask them to lower music. Everything getting louder. Fine dining is supposed to be just that. Everything was terrific. Only thing, we were celebrating a birthday and nothing special was done. Everything was wonderful for my birthday. The food was great. Service was friendly but professional. You were made to feel special. Wait staff knew the menu and options. Overall a memorable evening. Fantastic Food with great service. Nice view of the city lights from every table. The filet mignon was so delicious, cooked perfectly, and my husband really enjoyed the lobster crusted salmon. Our waiter, Lawrence was very friendly and that greatly added to our dining experience. We'll be back. We have stayed at the Suncoast property for years and had yet to dine here. WOW! What a gem we were missing out on! Service was impeccable, food was OUTSTANDING, atmosphere fabulous! Will definitely be back! The prime rib was out of this world I didn't have reservations so I had to sit by the door but it was still good I would have preferred a booth. The waiter was very nice, pleasant and took good care of my friend and myself. It was very relaxing and I really enjoyed the time I was there. Much needed treat for us. Very underwhelming and not the best experience. We’re locals and brought our family from out of town. Our server unfortunately made mistakes on our order and forgot beverages. Brought us the wrong sides and our steak was cooked med-well, when ordered med-rare. So while we waited to have new steaks cooked, everyone else finished their meal. We understand mistakes happen, but when the manager and staff are seen eating in the restaurant. Which our teenage daughter pointed out, staff was eating off plates left in the dinning room. It was made clear, hospitality isn’t a focus in this restaurant. Also to have to server point out that they would be taking off the items that he miss ordered, isn’t a sign of taking care of his mistakes. He offered to take care of a couple dessert and completely neglected to acknowledge the birthday we were celebrating. Plus dinner isn’t cheap. Spending 500.00 off the strip, you should expect a better experience. We Won’t be coming back or recommending this place to anyone. Service was great with Brenda. My dinner was fine. My wife's chicken was a rubbery and tough . She only ate half. Always a favorite of ours! Never had a bad meal or experience here. Great local gem! Can’t beat the value of the Tourenados of Beef. We had the perfect time w/ friends here. Table by the window overlooking Las Vegas, attentive but unobtrusive service. Delicious steaks and cedar-planked salmon. And a lot less expensive than other steakhouses. There was a few minute wait despite having a reservation, as it is a popular place. Now we know why, and we will go back again and again. We have been here many times, both very busy and not so busy. This was a Friday night and the place was about 3/4 full. We go a very inexperienced server which made the meal disappointing. She took our drink order then promptly forgot to take it to the bar. 30 minutes later we were still waiting for drinks and asked her. She then went to the bar to order but they still took another 15 minutes. Two of us ordered medium rare prime rib and two ordered medium. When they came she gave them to the wrong people. We questioned it and she did exchange two of the plates but insisted that the other medium rare plate was medium and refused to change them. We didn't realize it until they had both eaten some of the prime rib. Each couple was to get a dessert and some chocolate dipped strawberries. She insisted that it was one or the other until another, more experienced server, corrected her. I did speak to the manager about it and he came to apologize and offer us 20% off the bill however we had already cashed out so he did give us a card for 20% off on our next visit. He even mentioned that she might need some more training. I have to fault the management for allowing such and inexperienced server work alone on the Friday after Valentine's Day when they were running a special. 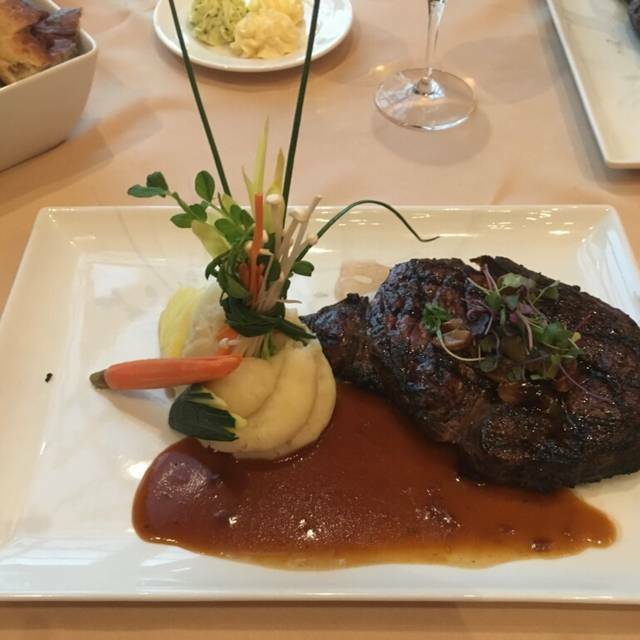 Amazing Vegas Steakhouse with great food, service, value and city views. I would not recommend SC because the food wasn’t anything special. The service was good however. Great service and outstanding food. A nice place to dine. Love the special menu. Lawrence, our server, is the best! We had the lovers deal for $85 per couple. What a wonderful dinner, the largest prime rib I've ever seen in my life! The food was fabulous and my waiter Lawrence was even better. He made my mother's 81st birthday a success. Everything was great! I’ve been here a few weeks and ate there 3 times, mostly with free coupons. First time was good, then the food went downhill each time. Ordered prime rib med well and one was rare and the other was well done. Veggies were over cooked or poor quality. Service was always excellent. The noise level was terrible. We had to wait close to 30 minutes for a menu and water. Once the food came, it was excellent but the noise and extremely slow service overshadowed the food. Best dining experience we’ve had in a while. Staff was very courteous and efficient. Prime rib with garlic mashed potatoes, chopped salad and cheesecake all tasted great. Perfect place for an extremely reasonable and enjoyable dinner. We’ll definitely be back soon. We enjoy this restaurant immensely. We enjoy this restaurant immensely. We enjoy this restaurant immensely.